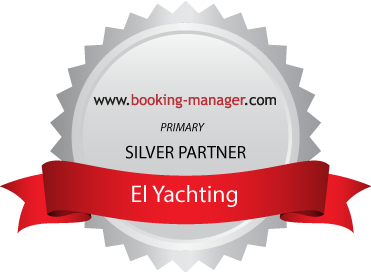 El Yachting was founded by Elena Jan Papadopoulos in 2010 in Patras. The owner initially focused her attention on the yacht agency and charter business but the company is rapidly expanding to include all aspects of yachting. It already has a branch in Athens and has formed cooperations with affiliates abroad. Today the team of El Yachting is busy with experienced staff and is extending her cooperations world wide. Despite her young age , Elena, can look back on 13 years of experience in the yachting business. As a student she used to earn her keep by working in the summer months on M/Y Elena , a professional 30mt charter yacht. Together with her father she has learned and developed the business from the ground up. Once she graduated she decided to work in yacht charter companies in Athens gaining wide experienced and offering clients the best possible yachts on the charter market suited to their needs. In 2010 Elena decided to move back to her home town , Patras, and start her own business there. Parallel to building her business she also completed a Masters degree in Tourism and Marketing. 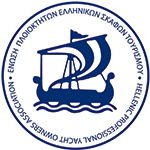 Our senior consultant has been a member of the board of the Hellenic Professional Yacht Owners Association for the last 20 years. He is also a Captain with more than 35 years of experience. His immense knowledge of the Greek Yachting legislation and his wide experience of the Mediterranean waters gives him the advantage of offering solid advice and guidance to yacht owners and prospective buyers. Apostolis was born in Patras in 1981. He graduated as a primary school teacher from the Educational Department of Patras University in 2003. Apostolis has always been interested in the sea and from a very young age decided that he would also like to turn his hobby into his summer work. At the age of 17 he started working as a deck hand on crewed motor yachts during the summer period and travelled around the Greek islands many times. He acquired a large amount of knowledge which later on he put into practice when he himself became Skipper on motor yachts and sailing boats. However, Apostolis’s passion has always been sailing and this is what he returned to when he graduated from University. He has been skippering on sailing yachts and large Catamarans in the Ionian for the last 10 years and knows the area like the back of his hand. He is also well known for his kind nature and has many clients who visit the Ionian every year just to have him as their skipper. When Apostolis isn’t skippering he is either taking part in sailing races, fishing or else tending to his olives and vines in his village. Berthold as an outsider adds his many years of experience in other branches of business. He has 30 years of professional experience in large German companies and 10 years of management as an owner of engineering and facility companies. We offer our customers the best possible service in particular for high demands. We help and guide our clients to find their dream yacht whether they wish to charter it or purchase it and take them step by step through the process. We prefer long term business and top quality is a must for us. All yachts are inspected personally prior to signing by one of our employees and examined critically. After all, we want satisfied customers.